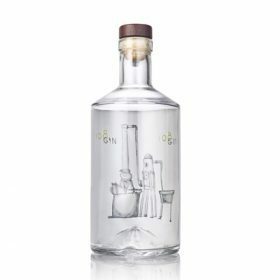 Watering hole 108 Bar in Marylebone, London, has launched a new gin that has been distilled on-site using its own copper still. 108 Gin is produced using a gin still that is on display at the London venue, which is called Isabella. The expression is made with a blend of eight botanicals, including juniper, orange peel, lemon peel, coriander seeds, prune and cardamom. The production of the bespoke expression comes after the bar partnered with the founder of the Whitley Neill gin brand, Johnny Neill. As part of the collaboration, Neill housed the still for his Pleasure Gardens Distilling Company in 108 Brasserie, home of 108 Bar, in order to demonstrate the distillation process to gin fans. 108 Gin is said to be made to perfectly complement Fever-Tree Mediterranean Tonic and a slice of orange. The expression will be available from 1 December at 108 Bar priced at £38 (US$48) per 700ml bottle. A number of London venues have been announced with on-site distilleries, including the latest venue from bar operator Inception Group and a new bar from English drinks producer Chapel Down.